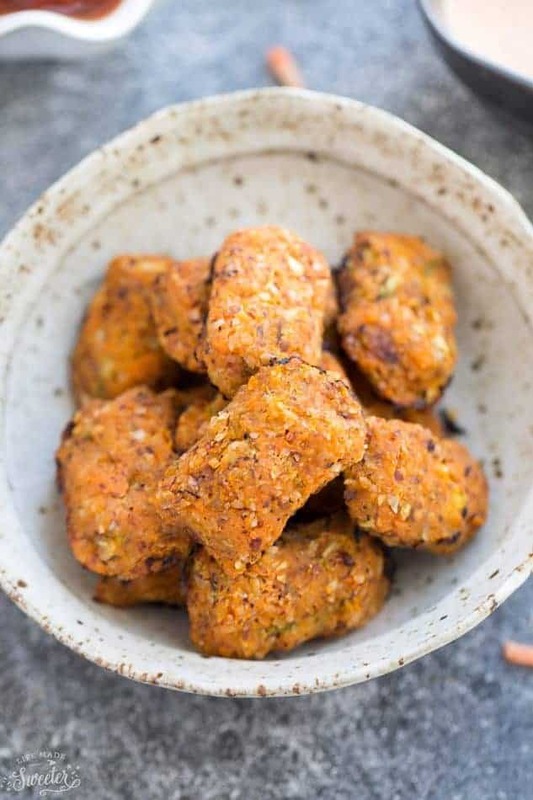 Sweet Potato Zucchini Tots – an easy recipe that makes the perfect fun and healthy snack. 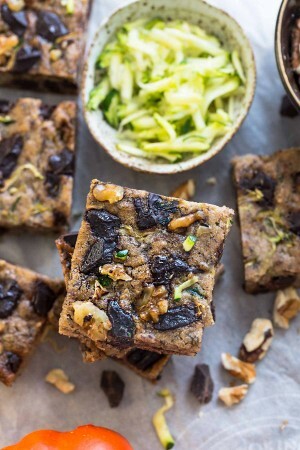 Best of all, made with only SIX ingredients and are vegan, gluten free, whole 30 approved, paleo-friendly and super tasty! Plus step-by-step video! Sweet potatoes are one of my favorite foods ever. I’ve been serving them mashed to my kiddos ever since they learned how to eat solids and they are just as crazy about them now as I am. Zucchini on the other hand is something I’m still trying to get them on board with. 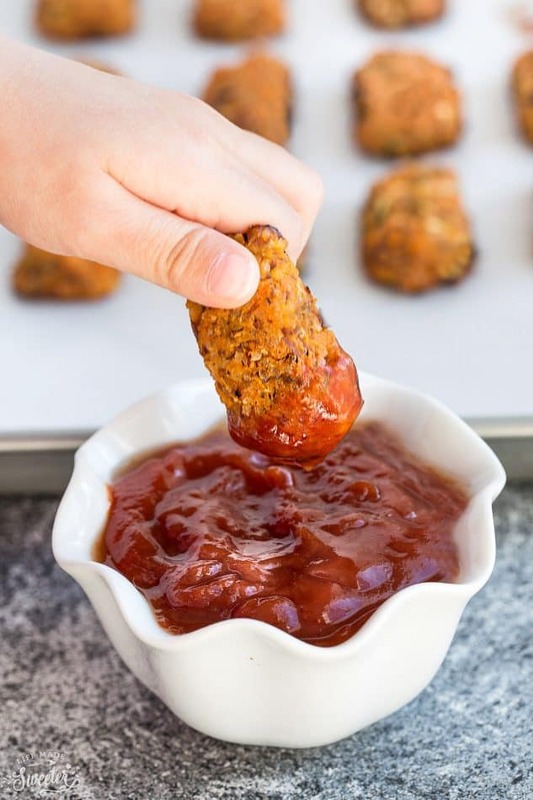 So last year, I tried sneaking them into their favorite sweet potato tots and my kids love them! 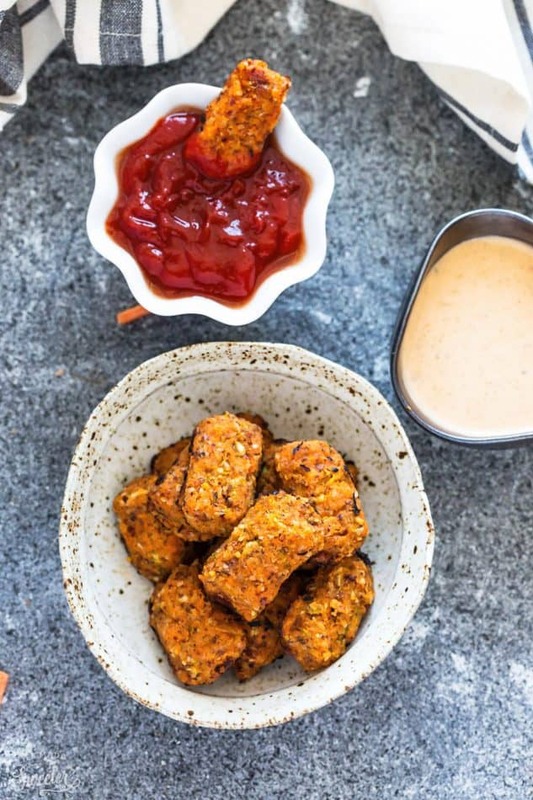 Sweet Potato Zucchini Tots make a tasty snack and I love that they’re vegan, gluten free, paleo friendly and whole 30 approved. 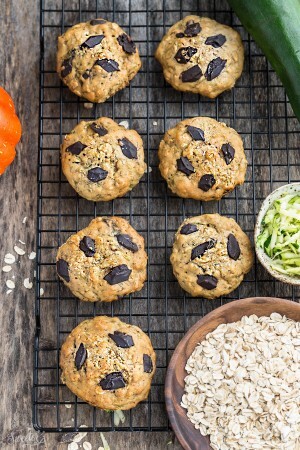 You can also easily pack them into lunch boxes for kids and adults alike. Serve alone or dunk with your favorite dip. Preheat the oven to 400 F. Line a large baking sheet with parchment paper. Set aside. Bring a medium pot of water to a boil. Add the whole sweet potato and cook for about 20-25 minutes, until you can pierce it easily with a fork. Drain and use the fork to mash the sweet potato while still warm. 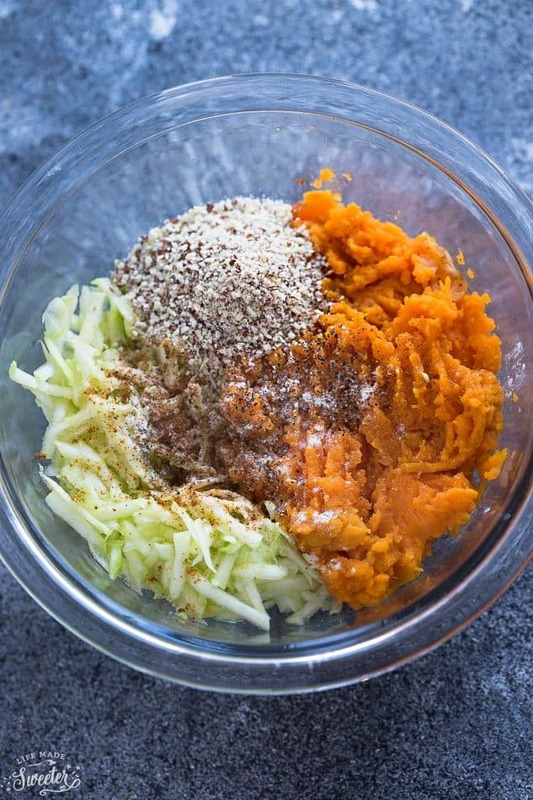 Grate the zucchini directly into the same pot as the mashed sweet potato. Add salt, black pepper and Cajun seasoning, until combined. Add almond meal, 1/4 cup at a time, using your hands to press until you can easily form a firm cylinder tot shape without it falling apart. Add more almond meal as needed, 1 teaspoon at a time. Form the mixture into small cylinders with your fingers, making them about an inch and a half long. Set them on a lined baking sheet in rows so that they are not touching each other. Bake for 15 minutes. Then, flip them over. Return to the oven and bake for another 10 - 15 minutes. Turn oven to broil for about 1-2 minutes, watching carefully until the tots are lightly browned. Serve with your favorite dipping sauce and enjoy immediately.